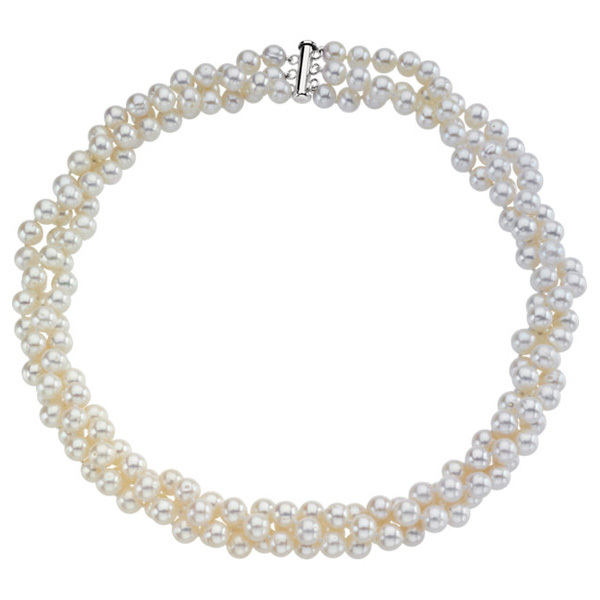 3 rows of 7-8mm size freshwater cultured white pearls make up this pearl necklace in .925 sterling silver. 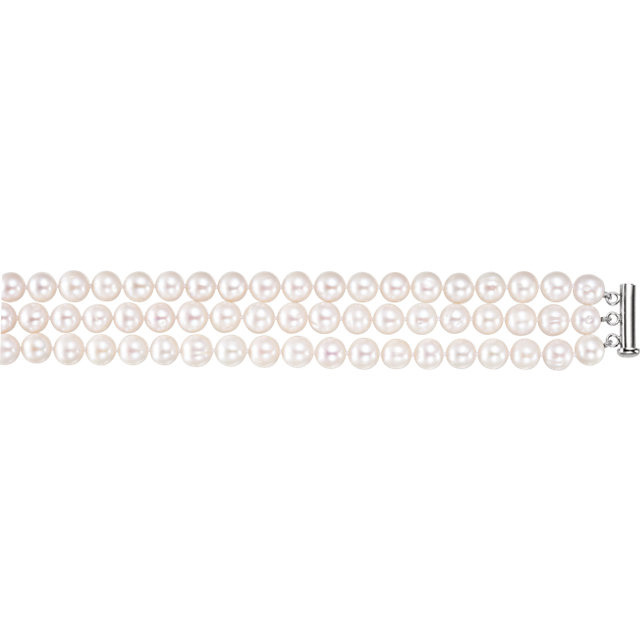 The necklace measures 22" in length and includes a secure, pin-insert safety closure for added security when worn. 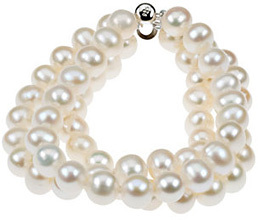 Also available with a matching 3-strand freshwater pearl bracelet, shown below. 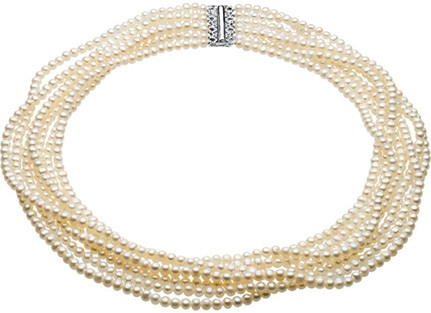 Make this beautiful, real pearl strand necklace your own! 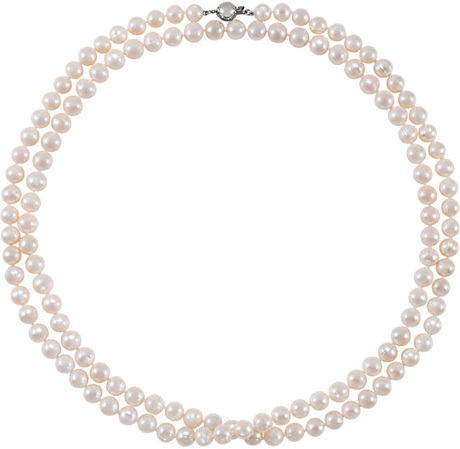 We guarantee our 3-Row Freshwater Cultured Pearl Necklace in Silver to be high quality, authentic jewelry, as described above.